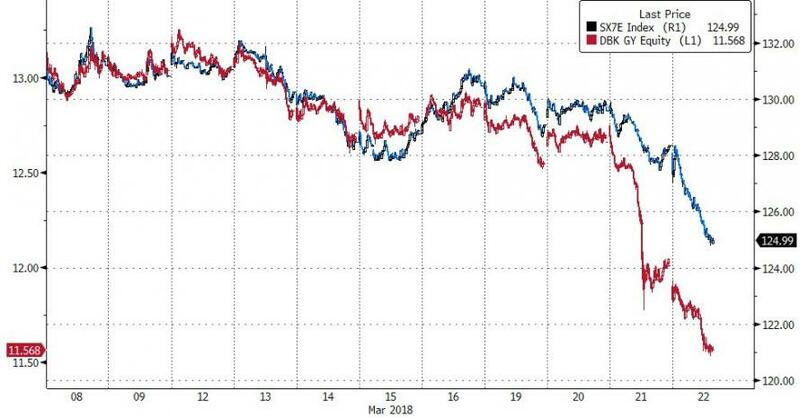 As three-month dollar Libor extended its streak to 32 straight increases, though the rise in the setting is the smallest since March 8. 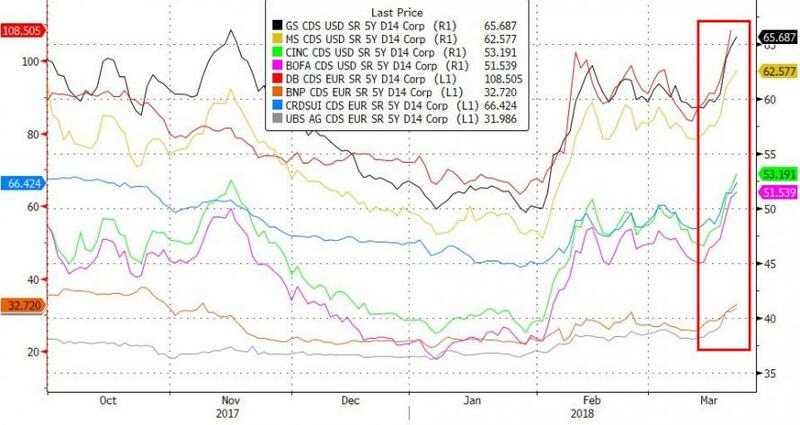 The crucial USD Libor-OIS spread rises to 56.8bp, widest level since May 2009 (as 3M Libor at 2.2856% is the highest since November 2008, vs 2.2711% prior session). 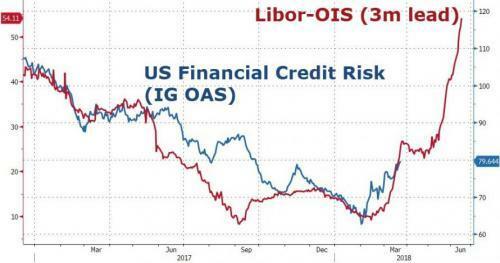 “We usually don’t see this kind of divergence in rates without some sort of credit issue,” said Margaret Kerins, head of fixed-income strategy at BMO Capital Markets Corp., referring to Libor’s rise versus OIS. 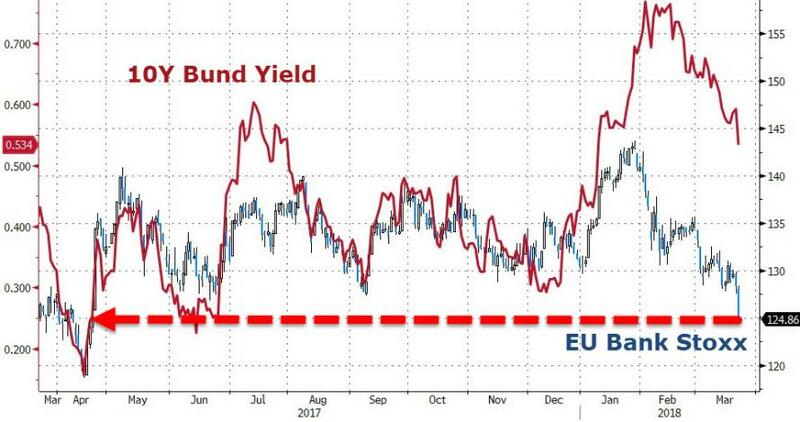 It appears to be damaging now..
“There has been sort of the perfect storm of factors tightening financial conditions,” said Russ Certo, head of rates at Brean Capital in New York. 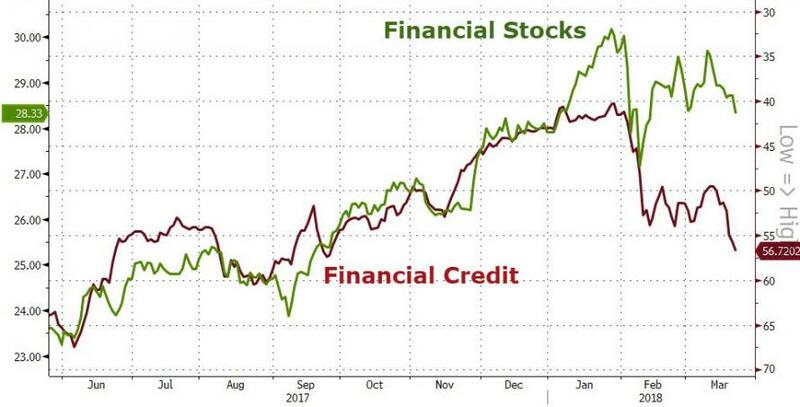 But, but, but... "fortress balance sheets"?